Today on Burning Issues Dr. Mitch Earleywine is joined by Marcel Bonn-Miller. Dr. Marcel O. Bonn-Miller received his B.A. in psychology and Ph.D. in clinical psychology from the University of Vermont. 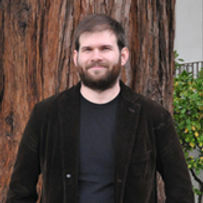 He completed a pre-doctoral clinical psychology internship at the Palo Alto Veterans Affairs Health Care System and a postdoctoral fellowship at the Center for Health Care Evaluation at the Veterans Affairs Palo Alto Health Care System & Department of Psychiatry and Behavioral Sciences at Stanford University School of Medicine. After completing his VA Clinical Science Research and Development (CSR&D) Career Development Award (CDA-2), he transitioned into his position as Research Health Science Specialist at the VA Center of Excellence in Substance Abuse Treatment and Education (CESATE), National Center for PTSD (NCPTSD), and Center for Innovation to Implementation (Ci2i). Dr. Bonn-Miller’s research interests are broadly rooted in the examination of associations between substance use and anxiety symptoms and disorders. His current work involves the examination of the interrelations between cannabis use and its disorders and posttraumatic stress disorder (PTSD), including moderating and mediating processes underlying their associations.